Beds were great, location amazing and hosts were very accomodating. The beds were comfortable and we were close to where we wanted to be, within walking distance of attractions. There was a large supermarket nearby. The host was very nice. Location. Easy walk downtown and along Oriental Bay. Close to cafes. Great location, spacious rooms very lovely helpful hosts easy to find. Beautiful views everting we could have hoped for. Nice location. Bus stops right out the front to main centre. Nice walks along the harbour front. The owners were lovely people. The beds in the two rooms were comfy. It was in a great location - close to the water and the nightlife. Great location. Immaculate and comfortable. Had almost everything needed for our stay. It was very clean and tidy. The location was great and the hosts were friendly. We asked if we could leave our bags at the house early and they were happy for us to so. Lock in a great price for The Bay House – rated 8 by recent guests! The Bay House enjoys a location in Wellington, just an 11-minute walk from Te Papa and 0.9 miles from Cuba Street. 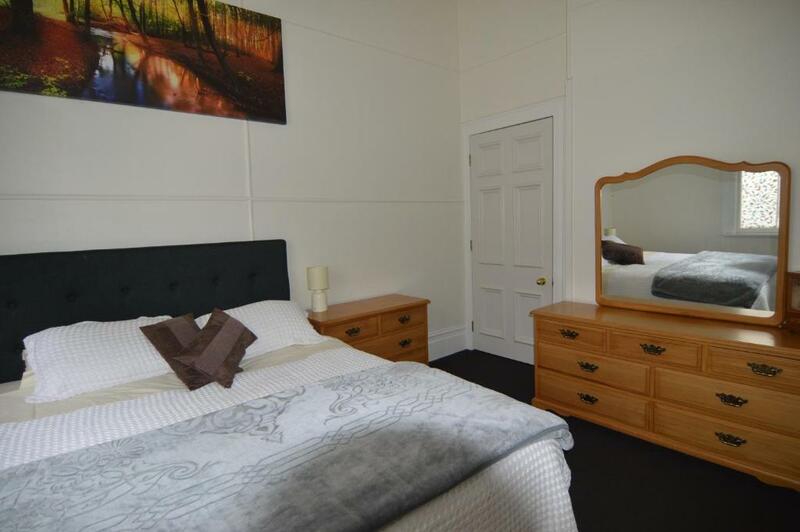 The property is 1.1 miles from TSB Bank Arena. The 2-bedroom apartment comes with a living room with satellite flat-screen TV, and a fully equipped kitchen with oven. Private parking is available at the apartment. Basin Reserve Cricket Ground is 1.1 miles from The Bay House. The nearest airport is Wellington Airport, 5 miles from the property. When would you like to stay at The Bay House? 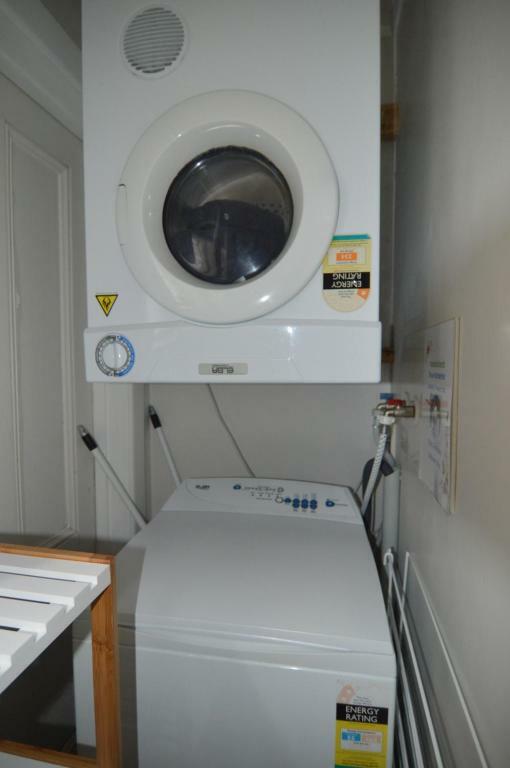 This apartment has a tumble dryer, washing machine and toaster. House Rules The Bay House takes special requests – add in the next step! A NZD100 damage deposit is required 7 days before arrival (about USD66.77). This deposit will be fully refunded 7 days after check-out, as long as there isn't any damage to the property. The Bay House accepts these cards and reserves the right to temporarily hold an amount prior to arrival. Please inform The Bay House of your expected arrival time in advance. You can use the Special Requests box when booking, or contact the property directly using the contact details in your confirmation. A damage deposit of NZD 100 is required. The host charges this 7 days before arrival. That's about 66.77USD. This will be collected by bank transfer. You should be reimbursed within 7 days of check-out. Your deposit will be refunded in full by bank transfer, subject to an inspection of the property. Stairs would be a problem for some people Heater not working in one of the bedrooms.. Parking is a nightmare as there is none ‘on-site’ and the host didn’t bother to explain that to pay for parking you had to go to a ‘dairy’. Trying to pull up to offload bags was a problem as it was quite a busy road. We are from overseas and were looking for a meter of some sort to print tickets. Property is better suited to those traveling without their own vehicle. Where do I start! The stairs leading to the unit with no handrail. The garbage bins at the front door, also a sign asking us to take our shoes off. There were plastic scuffs inside to be worn and left in a box on departure for cleaning. The door handle came off in the second bedroom, trapping the person inside. This could be disastrous in a fire or earthquake. There was food left in the fridge from the previous people. The wind blew through the cracks around the windows and doors, etc. There definitely need some maintenance to be done. When booking I had asked if it would be suitable for four singles and the host offered to make up an extra bed in the lounge. This didn't happen. No milk or tea. Stayed for 4 nights. On the last night the room next door was rented by a group. Unfortunately they partied all night with loud music and singing and screaming and yelling and banging. It went all night long. Not very soundproof. The host was very friendly and offered great advice of things to do locally! The sofa bed in the lounge room was not so comfy. Bathroom was a little small. The toilet was a little cramped.